The CDC lists poor diet and being overweight as lifestyle and medical factors that increase people’s risk for heart disease. Eating a well-balanced diet not only helps you manage your weight, but it can also ensure you’re getting the heart-healthy nutrients you need. According to the Mayo Clinic, eating a diet rich in fruits, vegetables and whole grains can help ward off heart disease. It’s also important to limit certain elements from your diet such as saturated and trans fats. So, when it comes to choosing what you’ll eat for dinner, opt for fish that’s high in omega-3 fatty acids instead of a steak, since red meat is high in saturated fat. It’s no secret that smoking and drinking can contribute to poor health, and this is especially true when it comes to heart disease. 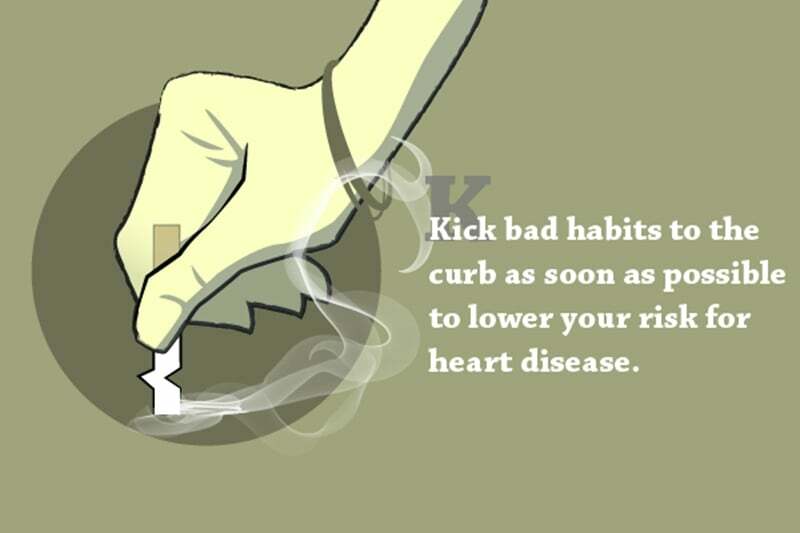 Kick these bad habits to the curb as soon as possible to lower your risk. If you’re struggling to quit, ask your physician if he or she has any tools to help, or see if your community offers group support classes. Exercising on a regular basis can help manage your weight, strengthen your heart and control other risk factors related to heart disease. Remember, working out doesn’t have to be a chore. Make it fun by doing something you love such as dancing or biking. Seniors can turn their workouts into a social activity by signing up for group exercises classes in their active retirement community. Even just taking an evening stroll along your Bonaventure Senior Living Community’s walking paths can put you on the right track for a healthy heart. Life is unpredictable and full of hectic moments, so it’s not practical to avoid anything that causes anxiety. However, there are a lot of strategies to beating the heart strain that comes with stressful situations. Getting a good night’s rest is a start. Seniors may also benefit from group yoga classes, or dedicating time each day to peaceful meditation. At Bonaventure Senior Living, we’re all about promoting good health – nutritionally, physically, and mentally. Stop by one of our communities to see our Seniors in action, staying fit with Tai Chi and Yoga, among many of the activity fun options offered here. Get in touch to find out how we can help you live your Retirement Perfected!